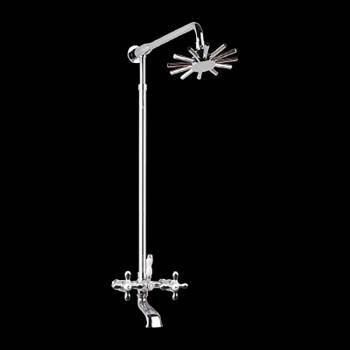 Complete your vintage bathroom with this wall mounted shower and faucet combo! This faucet features classic porcelain cross handles and diverter lever. Brass construction and chrome plating mean that this faucet will be around for a while, without tarnish or stains. NOTE For inside tub wall installation ONLY. Faucet measures 7 inches wide, 8 inches high, and projects 4.75 inches. 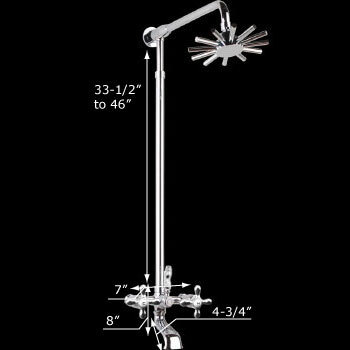 Riser shower adjusts in length from 33.5 to 61 inches. 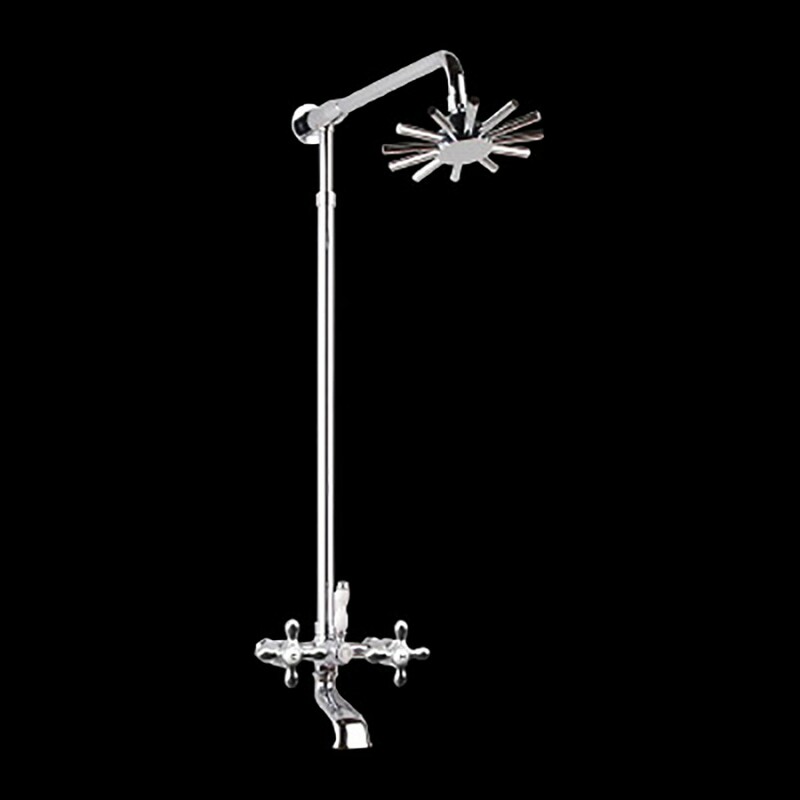 Luxurious Rainfall showerhead also included.